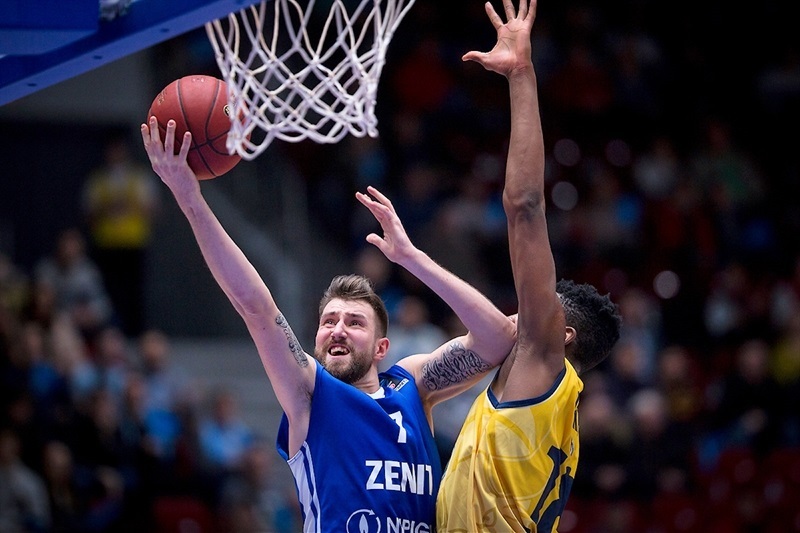 Zenit St. Petersburg overwhelmed Fiat Turin in the second half for a 95-84 come-from-behind victory at Yubileyny Sports Palace on Wednesday. 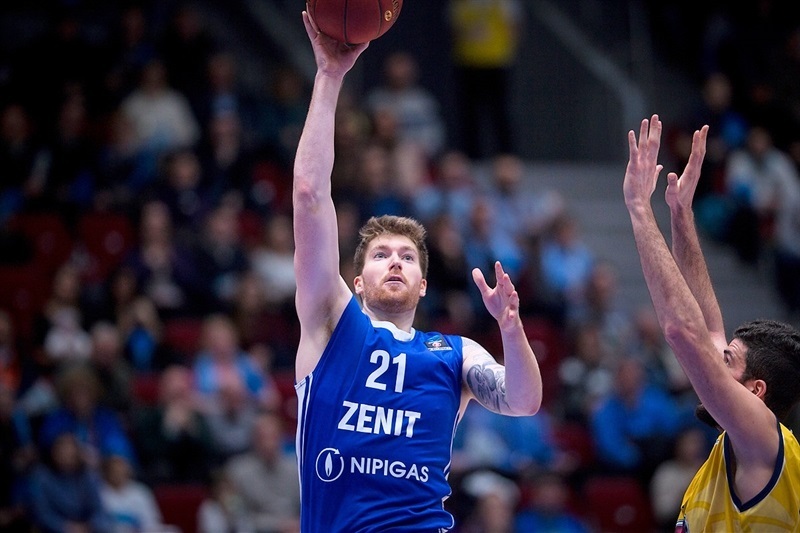 Zenit trailed by 13 late in the second quarter, but turned up its defensive effort over the final two quarters, during which it outscored Fiat 49-26. 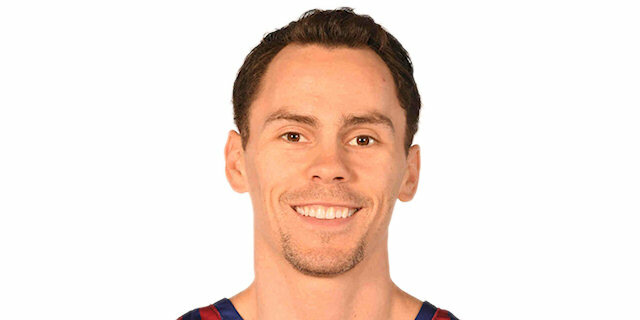 One week after he scored a career-high 30 points, Kyle Kuric was perhaps even better with 28 points on 6-of-8 three-point shooting for a career-best performance index rating of 40. The victory put Zenit alone atop Group F of the Top 16 at 2-0, while Fiat slipped to 1-1. Sergey Karasev added 22 points and 6 assists and Evgeny Voronov and Demonte Harper each scored 16 for the winners, who lost league-leading rebounder Drew Gordon in the second quarter. Gordon was helped off the floor after landing awkwardly on defense. Lamar Patterson posted 19 points, 8 rebounds and 7 assists, Antonio Iannuzzi tallied 16 points and 8 rebounds, Saha Vujacic netted 11 points and Diante Garrett had 10 in defeat. Harper’s three-pointer gave the hosts an early lead, but Fiat took charge with a 2-14 run in which David Okeke and Vujacic each scored twice to make it 5-16. Despite a three-point play by Harper, the margin grew to 12 on a bucket by Iannuzzi. 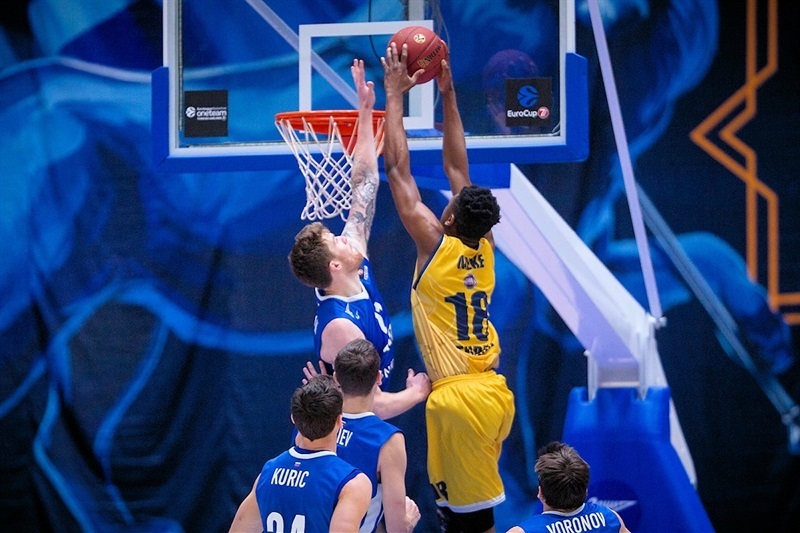 Zenit roared back with 11 unanswered points, during which Kuric and Karasev each scored and assisted. Patterson ended the Fiat drought with a layup that made it 24-27 after 10 minutes. The team traded baskets through the first few minutes of the second quarter with Fiat holding a slim edge until Karasev free throws tied the score at 33-33. Gordon was helped off the floor after landing awkwardly at the other end, however Zenit shook that off to take the lead, 39-35, on back-to-back threes by Karasev and Kuric. Fiat came right back with a 0-9 run in which Iannuzzi scored 4. Fiat strung together another 0-10 run, highlighted by back-to-back triples by Vujacic and Patterson, to surge ahead by 13. After a three from Kuric, Patterson beat the halftime buzzer with a layup that made it 46-58. Kuric came out strong for the second half and buried a pair of threes to cut the deficit in half. Scottie Reynolds went coast to coast for a layup that drew the hosts within 58-62 and prompted a Fiat timeout. Karasev heated up as the margin shrunk to 2 points. Patterson managed to keep Fiat ahead for a while longer, but Ivan Lazarev put back his own miss to even the score at 66-66. 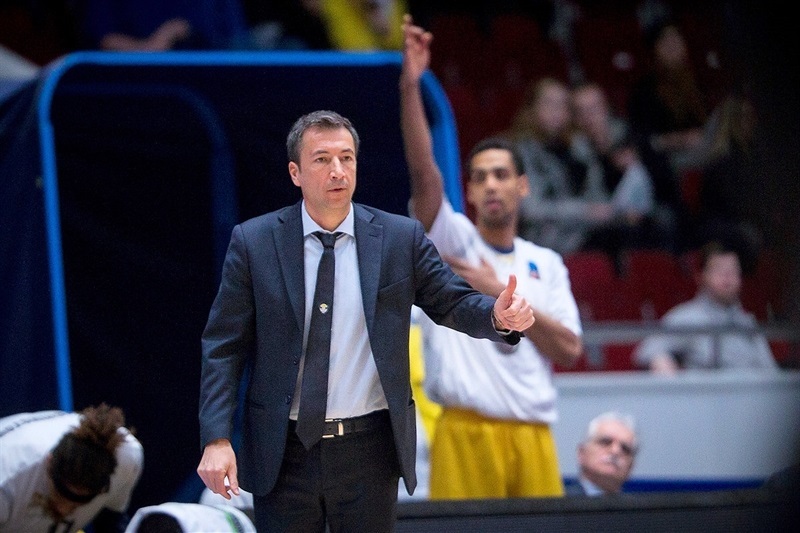 Zenit edged in front on Voronov free throws and got 3 more from Kuric to lead 73-68 through three quarters. 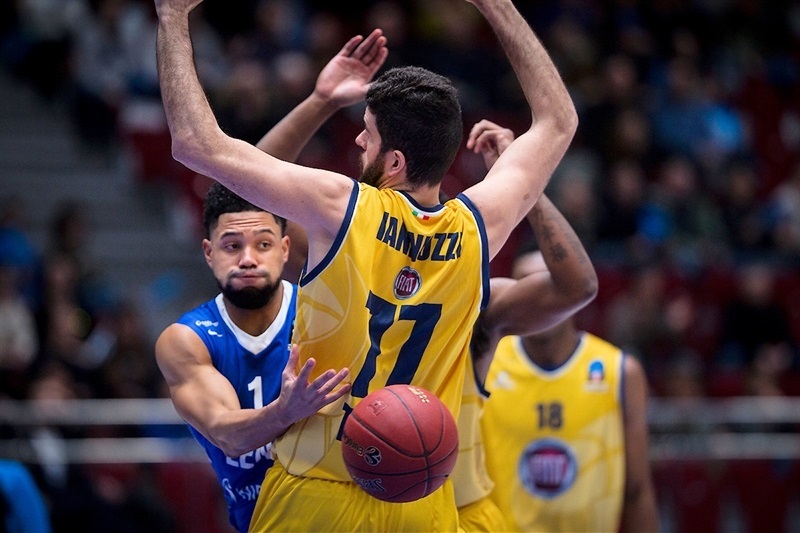 The Zenit lead twice reached 6, but Fiat battled back to 77-75 on Giuseppe Poeta’s steal and layup. However Evgeny Valiev’s steal led to a layup-plus-foul for Voronov and an 83-77 lead with less than four minutes to go. 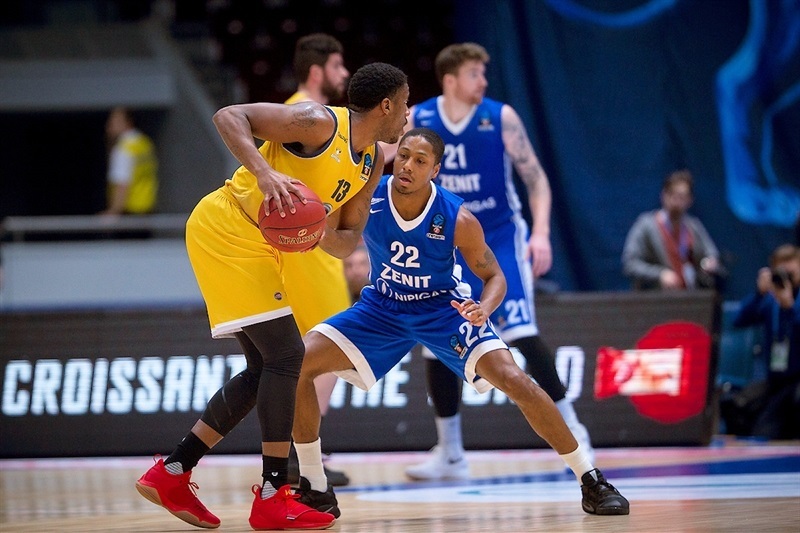 Zenit had an answer for each of Fiat’s next scores and Harper’s third three of the game with 88 seconds remaining all but sealed the outcome at 92-82. "We started to play defense in the third and fourth quarter and after that we got rebounds and could play our game, which is a fast game with a lot of penetration and three-point shots." 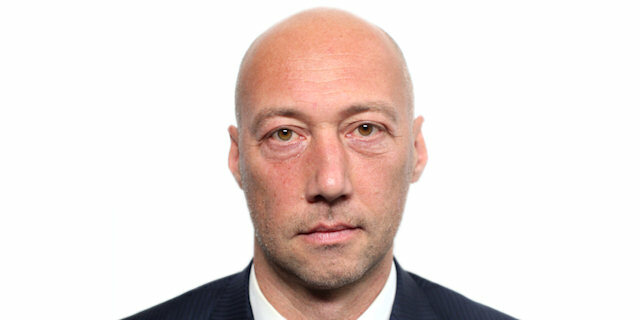 "It was a very intense game. Of course we were happy because the way we approached this game, we showed the right poise and personality against such a talented team. As was predictable, the way they came back after halftime showed me the level of their desire to impose their experience and talent. We have big regrets because of the way we wasted the advantage we created in the first 20 minutes. So I am really frustrated because of the way we approached this game, we deserved to show different control of the tempo, especially during the third period. 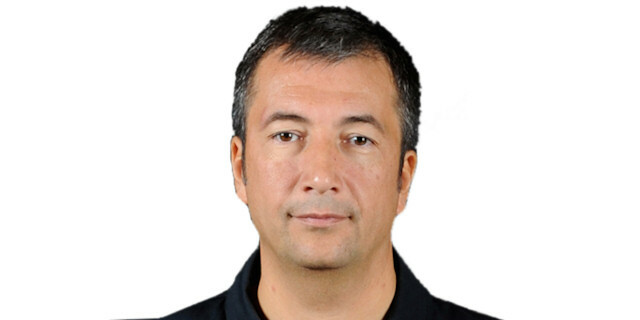 Zenit was great at creating the condition to switch completely the rhythm of this game." " In the first half we had a lot of bad turnovers, especially in the second quarter. After halftime, we came out stronger, got more aggressive on defense, we started running and started playing more aggressive on both ends. It changed the game for us…. It was a big win. We really needed it."